Nevada divorces are divided into two distinct categories: Uncontested Divorces and Contested Divorces. An Uncontested Divorce is where both parties agree on ALL terms of the divorce. Additionally, the agreements made by the parties MUST conform with Nevada law. We encourage Uncontested Divorces whenever possible. In circumstances where an uncontested Divorce is not possible, we still work with the parties and resolve the issues that are agreed upon so the parties can focus their efforts on the remaining issue. Once all of the terms have been agreed upon, our office will prepare a Divorce Decree and all other related documents for your review. Once the documents are reviewed, signed, and notarized we submit them to the Court. It typically takes the Clark County Family Court between one to three weeks to review, sign, and return the Decree of Divorce. 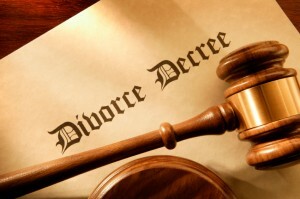 A Contested Divorce is a divorce where both parties DO NOT agree on all terms of the divorce. Common items that parties do not agree upon include: custody, child support, temporary spousal support, alimony, division of property, the enforceability of prenuptial agreements, and other related issues. Most contested divorces are subsequently resolved by the parties through the negotiations, court hearings, mediations, and if necessary – trial. The time involved typically ranges from as little as a few days for the parties to meet and work out a settlement to more than a year if the parties go through the entire litigation process.